Use Salladore to manage your associates. 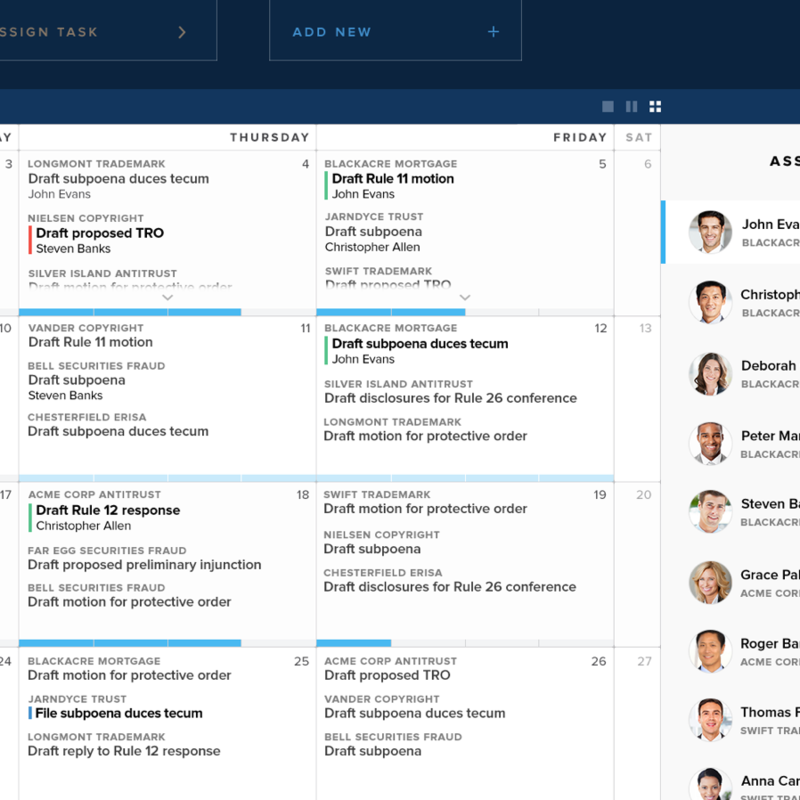 Track associate workloads in real time to see who is busy, who needs work, or who has the time to meet a deadline or make an appearance. Use the search tool to quickly find the right associate for an assignment. Filter by seniority, relevant experience, language skills, and more. 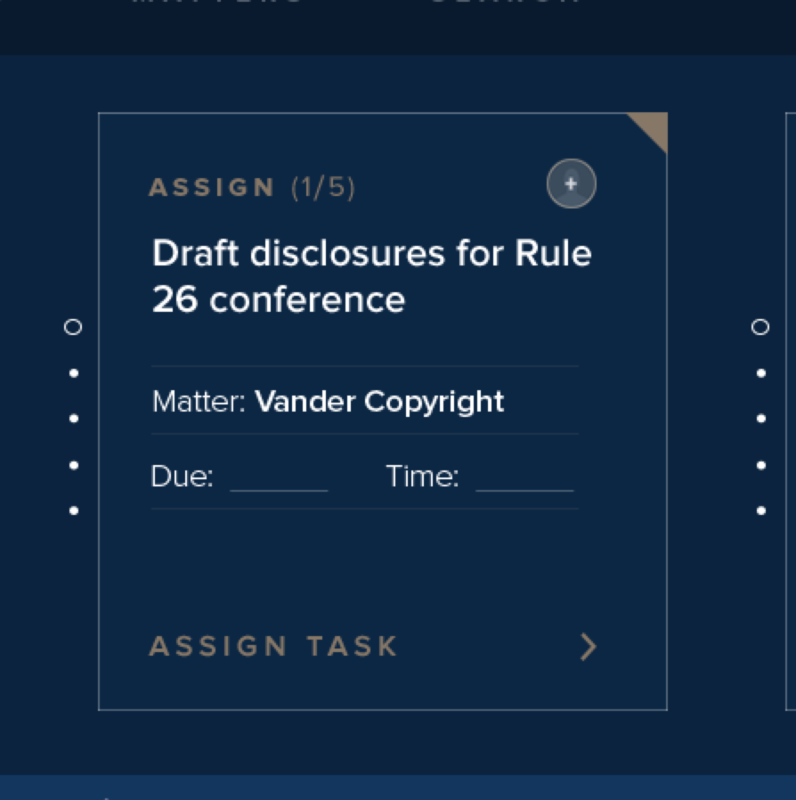 Assign work directly through the system or let the associate submit a task to you. Receive alerts whenever the associate sees a task or has a question. 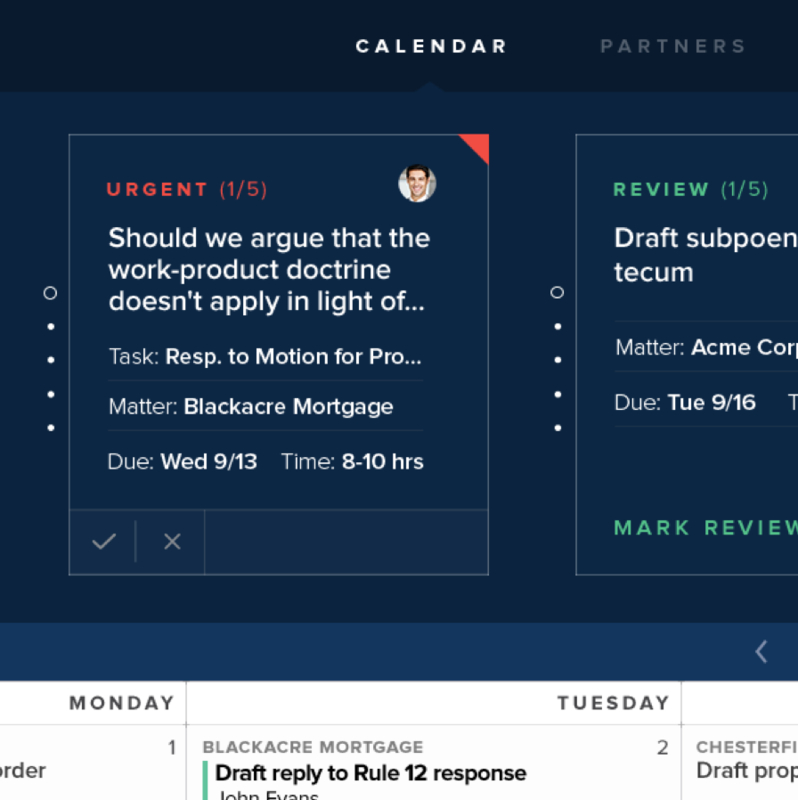 Track assigned work, check for deadlines, and communicate back and forth with associates—all from the dashboard. Finding out which associates are free to take on work is a time-consuming process. Check Availibility: Salladore gives you instant access to associate workloads across your firm. Schedules are updated in real time, so no more reaching out and waiting to hear back. When your go-to associates are too busy or aren’t right for an assignment, you can immediately see who else is available, even if they’re in another office. Assignments often demand particular skills or can present certain training opportunities. Discover Associates: Salladore’s search features let you take full advantage of the associate talent at your firm. Whether it’s relevant experience, fluency in a particular language, or any other key criterion, you can filter available associates based on your needs and even find those who can benefit from a professional development opportunity. Assigning work over email leaves you out of the loop if associates don’t respond promptly. Assign Tasks: Salladore lets you bypass the inbox and write assignments directly in the system. The associate gets alerted and you receive a read receipt, including any details that may need clarification. Associates can also enter assignments themselves, which then come to you for approval or modification. Without an easy way to keep tabs on assignments, issues don’t get resolved and deadlines are missed. 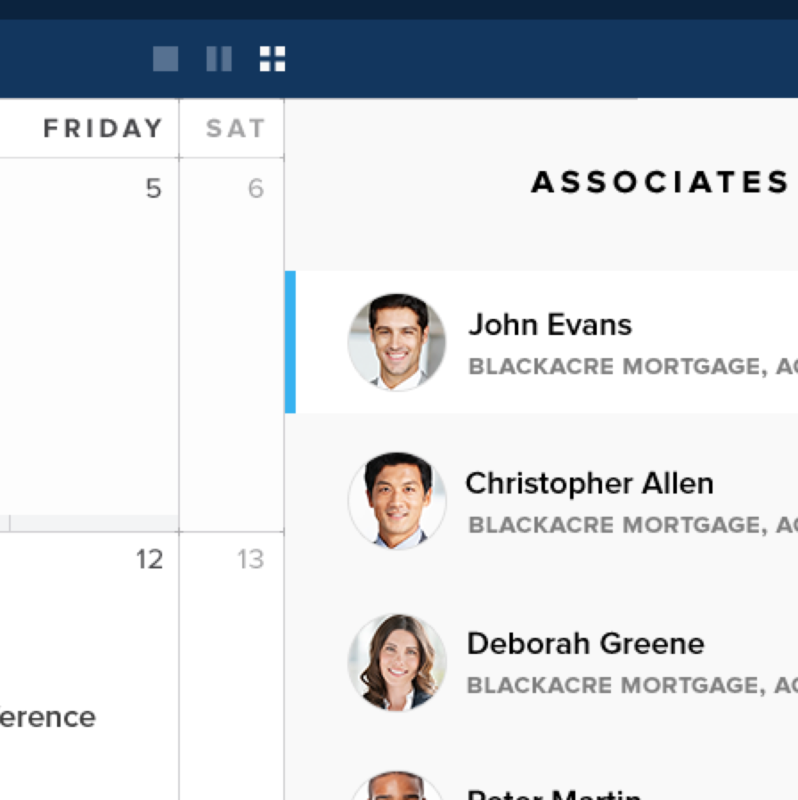 Manage Follow-up: Salladore’s dashboard automatically organizes your work by deadline and sorts questions and requests from associates by urgency. If you need to modify an assignment or follow up, the system alerts the associate’s dashboard and lets you know when they’ve seen the feedback. Built to streamline associate management, Salladore frees up your time so you can focus on the profitable side of your practice. There was an error while sending your message, please try again.